"Suzuki Early Childhood Education (SECE) is a program in which a mixed age group of children meet weekly, building on concepts and skills laid out in the SECE repertoire while interacting with one another, their parents, and the teachers. The parent plays a central role in all activities in the belief that the parent is the child’s first and most important teacher. Through parent participation in prenatal, baby, and preschool classes, parents become partners in providing an enriched natural environment for the growth of their children. Suzuki ECE seeks to build on the child’s natural delight in learning and lays the foundation for life-long learning that meets Dr. Suzuki’s goals for all children—to create an environment for children, free from pressure, in which they can gain skills, a sense of purpose in life, an understanding of discipline, and an appreciation of beauty." From the Suzuki Association of the Americas. Learn more at the SAA website. Baby class, is so special and prepares each child for music lessons in a beautiful way. I believe that every child should have this opportunity. 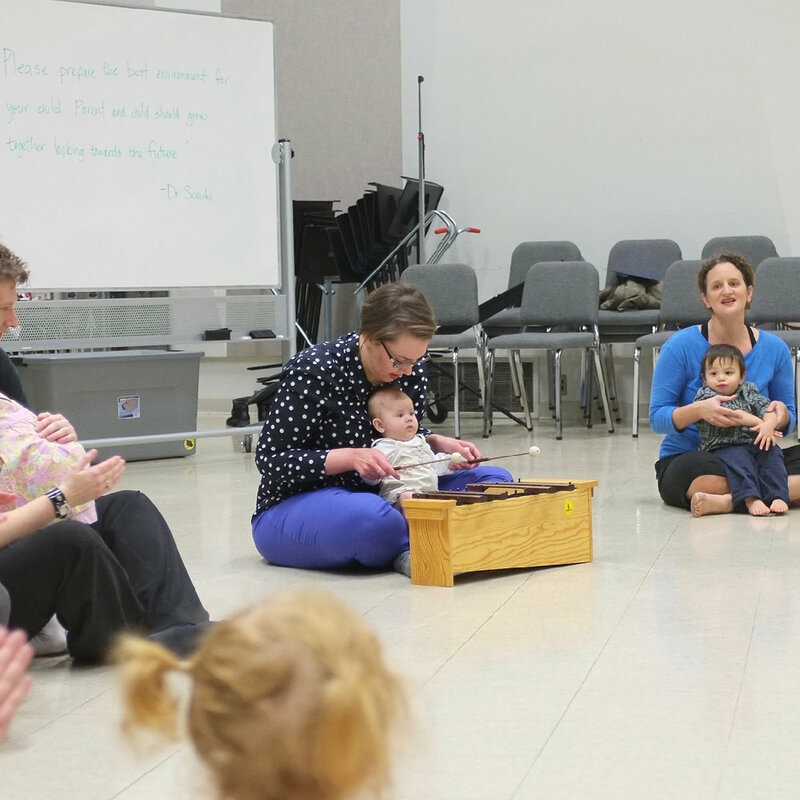 We are so fortunate that the Twin Cities has several registered Suzuki Early Childhood Education teachers, including Adrianna O'Brien, Meredith Vaughan, Katie Ekberg, Ruth Bergmann, Christopher Becknell and Annella Platta.